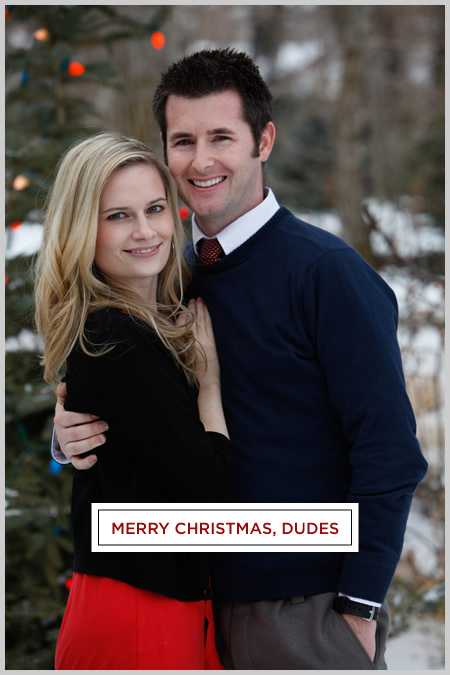 Whittney and I were too lazy busy to actually send out Christmas cards, but we thought we’d still wish you and yours a happy holidays anyway. And thanks to Bryan for the photography! This entry was posted on Wednesday, December 24th, 2008 at 9:57 am	and is filed under Family. You can follow any responses to this entry through the RSS 2.0 feed. You can leave a response, or trackback from your own site. Nicely done. Good to see some action on this site. Hope you guys had a good Christmas. Hi! It’s nice to see a Utah couple! I saw your quest/post about making wheat bread…I taught breadmaking in small groups and someone suggested I start a blog. I have a couple of step-by-step bread recipes and I will have a 100% whole wheat bread video tutorial out soon. So, if you are interested, check out my blog and see if I can help! Just good writeup. That in fact was obviously a pleasure account this. Look innovative to help far more extra gratifying from you finding out! Nonetheless, how can we converse?